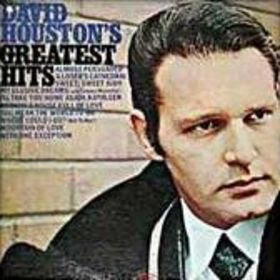 I like the country singer David Houston. Margie Bowes and him were the only good things in the horrible movie Cottonpickin' Chickenpickers. Almost Persuaded is the best song. I like the duet My Elusive Dreams with Tammy Wynette. I wish their album together could be on cd. I also like the joyous Mountain of Love.